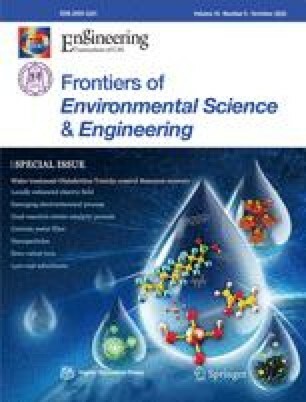 Four artificial composite soil treatment systems (ACSTs) fed with reclaimed water containing trimethoprim (TMP) and sulfamethoxazole (SMX) were constructed to investigate SMX and TMP biodegradation efficiency, ammonia and nitrite removal conditions and the microbial community within ACST layers. Results showed SMX and TMP removal rates could reach 80% and 95%, respectively, and removal rates of ammonia and nitrite could reach 80% and 90%, respectively, in ACSTs. The MiSeq sequencing results showed that microbial community structures of the ACSTs were similar. 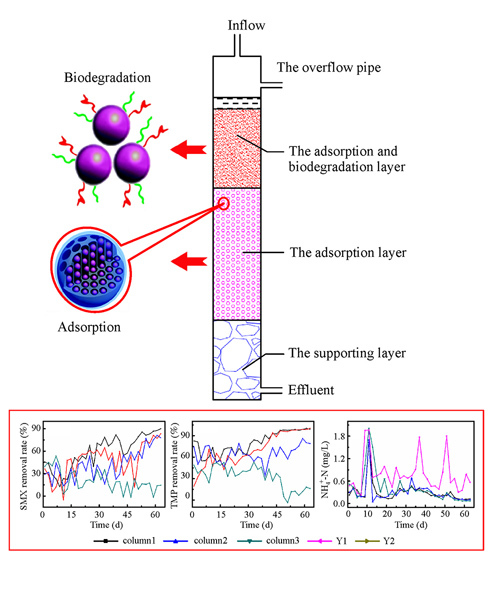 The dominant microbial community in the adsorption and biodegradation layers of the ACSTs contained Proteobacteria, Chloroflexi, Acidobacteria, Firmicutes, Actinobacteria and Nitrospirae. Firmicutes and Proteobacteria were considerably dominant in the ACST biodegradation layers. The entire experimental results indicated that Nitrosomonadaceae_uncultured, Nitrospira and Bacillus were associated with nitrification processes, while Bacillus and Lactococcus were associated with SMX and TMP removal processes. The findings suggest that ACSTs are appropriate for engineering applications. The authors thank the Fund (No. 0203), the fund (No. ZDJ2018-20) and National key Research and Development Plan (No. 2017YFC0406104) for the financial support of this work..